One of the best getaways from Los Angeles is Palm Springs, CA. This veritable mid-century modern desert town, just a two-hour down the 10, is worth its weight in swimming pools, desert rocks, cacti, and sunsets. And while this destination may have originally been a secret celebrity getaway, between the kid-friendly hotels, restaurants, and things to do with kids in Palm Springs, this SoCal spot is now a paradise for those with kids in tow. Located just south of Indian Wells, this is one of the biggest and most family-friendly resorts around with cabanas, poolside food, and beverage service. Everyone will love the 41 pools and 53 hot spas, as well as the 5 resort golf courses designed by PGA biggies like Pete Dye, Jack Nicklaus, and Greg Norman. This secluded resort is not only family-friendly but it’s also pet-friendly with activities to enhance your pet’s stay as well. With the largest pool in the Palm Springs area, this resort has families in mind from young kids to old. The zero-entry pool and sandy beach is awesome for the little ones while the wide expanse of the rest of the pool means the bigger kids have the freedom to swim until they are exhausted. Prepare for great eats at Sirocco Pizza Company, making fireside s'mores treats by the outdoor fire pits, lots of ping pong tournaments and of course, comfy and generously-sized accommodations. Plus there's a kid's club for some parental downtime. Check out more reasons to stay at this family-friendly resort. One word: Splashtopia. Sounds awesome, right? And it is. This knock-your-socks-off water feature, nearly two acres big, has two 100-foot water slides, a 425-foot lazy river, a jacuzzi with cliff views and a sandy beach. You can spend all day, every day here—just order food from Splash Grill and you’re good to go. If little eaters would prefer something more familiar, check out the River complex shopping and dining complex across the street that has restaurants like Cheesecake Factory and P.F. Chang’s. Also, there’s a movie theater in case you want to catch a flick after a day of fun in the sun. Come for the mountain views or the fantastic golf courses, or just to unwind with your family (pets included!). Enjoy 3 pools, including a 75-foot water slide, play some tennis (they offer kids lessons), rent a bike or de-stress with a relaxing spa treatment. Plus, it’s close to the Children's Discovery Museum of the Desert, in case you fancy a trip off-site. This stunning, sprawling resort with fantastic amenities, including a decadent spa and two championship 18-hole golf courses is the kind of luxurious place that has thought of everything, including how tired your feet must be….why walk when you can float on a gondola to various destinations around the resort? Just minutes from the El Paseo Shopping District, it's handy when you realize you forgot something essential back in LA. But keep Fido at home, as this is a pet-free resort. For an ultra-hip stay, this resort is both boho-chic and kid-friendly, in that artsy, "I woke up like this" sort of way. Bring some marshmallows to roast on the outdoor fireplaces, play with your pooch in the dog park out back, or take the kids for a short bike ride downtown for some vintage clothes shopping and return to rock your retro finds. If you’d prefer a homestay with a dose of that Palm Springs chic, check out this fully restored home, originally designed by Architect William Krisel. The desert-bohemian style 3/2 house and studio casita (with its own full kitchen and bathroom) has a pool and large, private yard. You know what that means? Vacation doesn't have to stop when the kids go to bed (i.e. No more hiding under the covers watching Netflix at 8 p.m with headphones)! In addition to the pool, the yard features a gas BBQ, outdoor shower, hammock and (of course) lots of sunshine. Basically everything you need for the perfect desert vacation. For an up-close look at some real desert critters, this zoo plus botanical garden focuses on wildlife from North America and Africa. You can tour exhibits like a replica of a Northeast African village and get personal with some Nigerian dwarf goats. The kids will also love seeing and riding the camels! And they'll love seeing the hyenas, and other not-often-seen creatures. Catch some knowledgeable animal chats, feed the giraffes, ride the endangered animal carousel, and explore the vast array of trails that loop through the Sonoran Desert (FYI: the trails are closed in the summer). And finally, plan to spend at least 30 minutes checking out one of the best outdoor G-scale model train exhibits we've ever seen. Good to Know: Arrive early, when it’s still cool out, you’re likely to catch more animals in action (they prefer to lounge around when the sun’s high in the sky) except for nocturnal animals like the big cats, who tend to come out closer to sunset. When it gets hot, head to the air-conditioned Discovery Center. Heading here in the spring? Check out their special activities like Easter Eggstravaganza on Apr. 21, Earth Day on Apr. 22, and Train Day on May 4. Too hot to stay outside? Then head indoors to this creative museum where absolutely everything is hands-on and in the (much-appreciated) air conditioning. This museum is filled with ever-changing exhibits, packed with activities and play spaces for kids of all ages. Good to Know: Every third Wed. the museum runs a special STEM event called $5 after 5 which means the museum stays open till 8 p.m and admission is only $5. Every third Sat. the museum has creative classes like duct tape fashion and Days of Los Muertos cooking. Check out the events listed on their website, there is always something interesting happening here. Hours: 10 a.m to 5 p.m. The twisty tree shapes, Cholla cactus forests, and blobby boulders in Joshua Tree make wonderful Dr. Suess-style memories for your kids. For a quick day trip, stick to the exhibitions along the main roads. Don't want to hike it alone? Join one of their guided hike tours. Good to Know: There are a couple entrances into the park, but if you are looking for the easiest hike with the kids (.25 mile loop), head to the southernmost entry point near Cottonwood Visitor Center. Check the weather, bring hats, sunblock and more water and food and snacks then you'll think you'll need. Check the calendar before you go and catch a "Ranger Chat" for an in-depth expert view of what happens in this national park. If you don't want to drive to Joshua Tree (it's an hour drive from downtown), you can hike right in the heart of Palm Springs. The Indian Canyon Trails encompasses 60 miles of hiking paths through the mountains that range from easy enough for toddlers to challenging trails for grown-ups. Expect to see spectacular vistas, maybe some big horned sheep and even, if we've had some rain, a waterfall. Good to Know: There is a fee to enter the hiking trails, which you pay for at the ranger station (visit Agua Caliente Band of Cahuilla Indians counter at the Palm Springs Visitor Center located in the old Albert Frey gas station when you first enter town). You can also arrange your visit to coincide with a ranger-led hike. Don't forget your water! They won't let you hike without it. Even pool-obsessed kids can sometimes have enough sunny splash time. Try a favorite, midday break with a change of scenery and climate. This tramway, built in the 60s, will take you and yours 2.5 miles above the desert floor into the San Jacinto mountains and the snowy wilderness awaiting at the top. Kids will love the rotating tram, which guarantees spectacular views no matter where you’re seated. There are dining options at the top so don't worry if your brood gets hungry. If there is snow, you can have a snowball fight, go sledding, snow-shoeing or cross-country skiing before descending back to the balmy poolside oasis of your hotel. (Check out our aerial tram guide for the tricks of a perfect trip). Even when it's not snowy, it's a lot cooler at the top, and fun for kids to explore the hiking and walking trails, and take in the jaw-dropping views. Good to Know: Altitude sickness can occur so pay attention to your body, drink lots of water and if you or your kids are afraid of heights, this may not be the experience for you. It's not for the faint of heart but totally worth it once you get to the top. 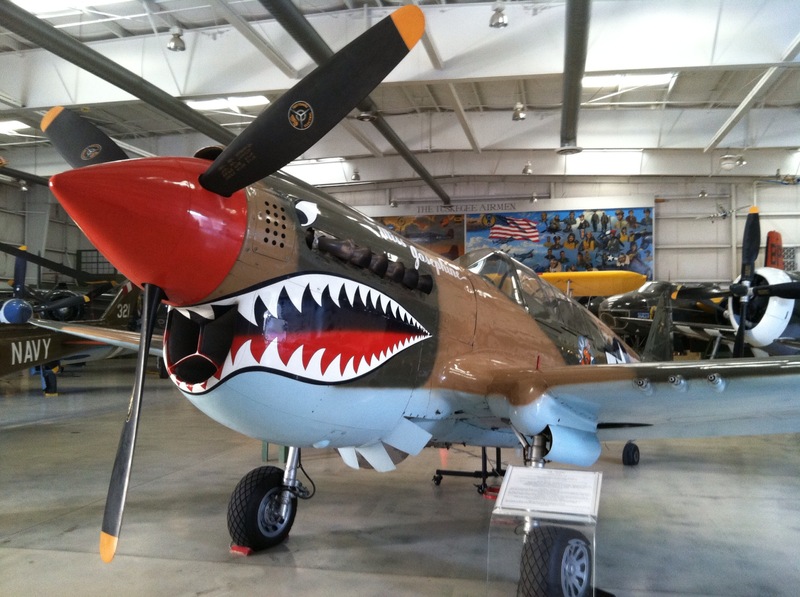 If you have an aviator junkie in your house, take them to the Palm Springs Air Museum where they can ooooh and awww over flyable WWII aircraft, walk through a B17G “Flying Fortress” bomber, watch flight demos, and talk to a volunteer, some of whom served in WWII themselves. Good to Know: If wandering around on the ground isn't thrilling enough, you can book a 20-minute flight in one of the historic planes and really pretend you are a fighter pilot! This roadside attraction is impossible to miss on your way into Palm Springs, but we recommend reserving this stop for when you are on your way out of town, headed back to Los Angeles. Touted as the world’s biggest dinosaur museum, you can check out giant robotic dinosaurs (don’t worry, they’re more kitschy than terrifying) for a fee. Let the little ones climb into the mouth of a huge model T-Rex, ride the animatronic Brontosaurus, and then searching through the sand at the Dino Dig to win a prize. Hours: Open daily 9:30 a.m.-4:30 p.m.
Of course, your hotel has a pool, but unless you’re staying at the Rancho Las Palmas, your little ones will love exploring various water features at this year-round open park. For a small fee, non-residents can get a day pass to splash and play in three pools, waterslides, diving boards, a splash playground, and a toddler pool. Go here first thing in the morning fo an authentic diner that delivers a fantastic breakfast. The coffee is strong and the pancakes are fluffy (the kid's Cub Cake is too cute!). Go early since lines can form out the door but lollipops are handed out with a smile for all. If you can stand the wait, get the German Pancake. There’s a reason everyone raves about them. 1030 E. Palm Canyon Dr.
Big breakfasts, lunches, and dinners, both kosher (and not) can be found at both Sherman’s Deli locations. Try the hot corned beef (it's famous for a reason). And save room for one of the beautiful desserts in the display case. A spot to see and be seen. The mouth-watering seasonal menu changes weekly as this restaurant strives to use locally grown, organic ingredients. FYI: Expect long waits if you get there late. Open Thurs.-Mon. Closed Tues. and Wed. If the desert heat leaves you hankering for some BBQ, head to this award-winning restaurant. Dive into brisket and beer. If you’ve got non-meat-eaters or just picky kids, the Mac-n-Cheese is stellar. Or grab a family platter for some twilight poolside dining back at your hotel or Airbnb. A simple burger might be the best bet in the middle or at the end of a long day, so try Tyler’s Burger stand. It's popular, so go well before your crew gets hangry. FYI: It's cash only, and they’re closed most Sun. If it's not too hot to dine al fresco, check out this spot in downtown Palm Springs. Order a combination platter or one of the house specials like Camarones Diablo or Chimichangas. There are several vegetarian options on the menu and they will also serve up a traditional American-style hamburger if the kids aren’t feeling adventurous. 222 S Palm Canyon Dr.
A sweet treat in downtown Palm Springs, not only is it the best toffee you’ll ever taste—no joke—the whole business was started by two teen friends who wanted to make money for a class trip. Great life lesson for kids, unbelievable toffee for everyone: it’s a win-win. If you want, catch the factor tour in Rancho Mirage. 132 S. Palm Canyon Dr.